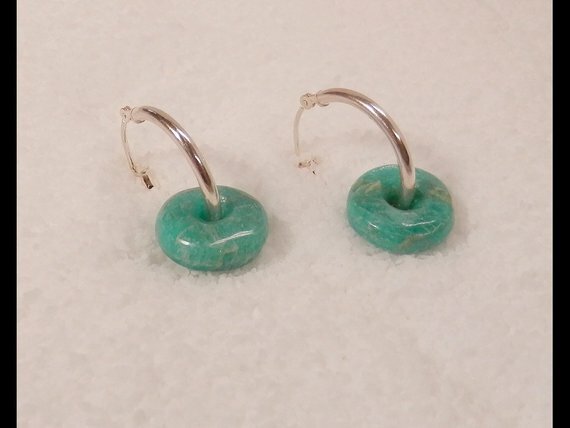 Sterling Silver Hoop Earrings With Hand Carved Amazonite Donut Beads. These sterling silver hoop earrings are the perfect way to show off Ken's wonderful hand carved do-nut beads of Colorado Amazonite. 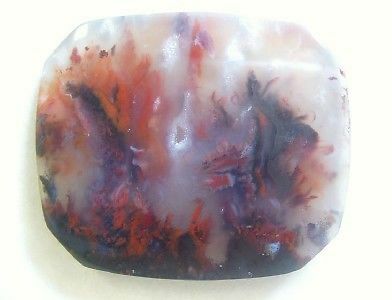 The stone is bright and clean and the color is wonderful. The earrings measure 19mm rnd. 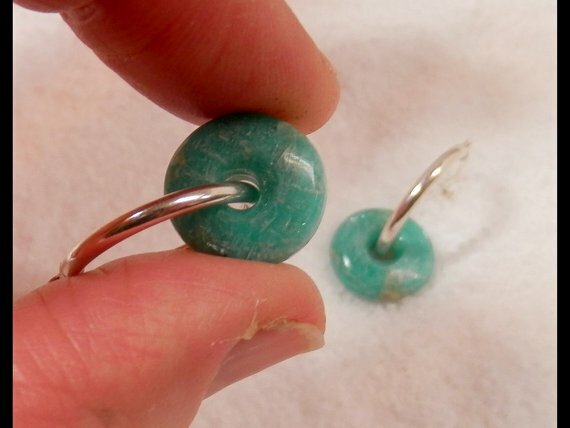 and the Amazonite beads measure 14mm x 5mm. The total length of these earrings from the ear wire to the bottom of the bead is 26mm, or about 1”. Perfect!